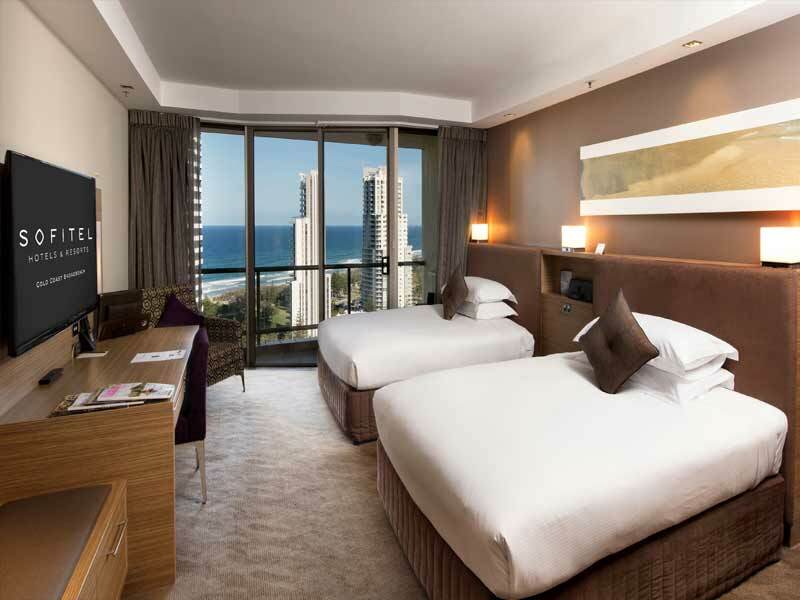 Stay where beautiful golden beaches are just metres away – at Sofitel Gold Coast Broadbeach! Radiating chic and charm, the Classic Rooms are packed with modern luxuries and special Sofitel touches to enhance your stay. Planning a holiday can be expensive especially when children are involved. 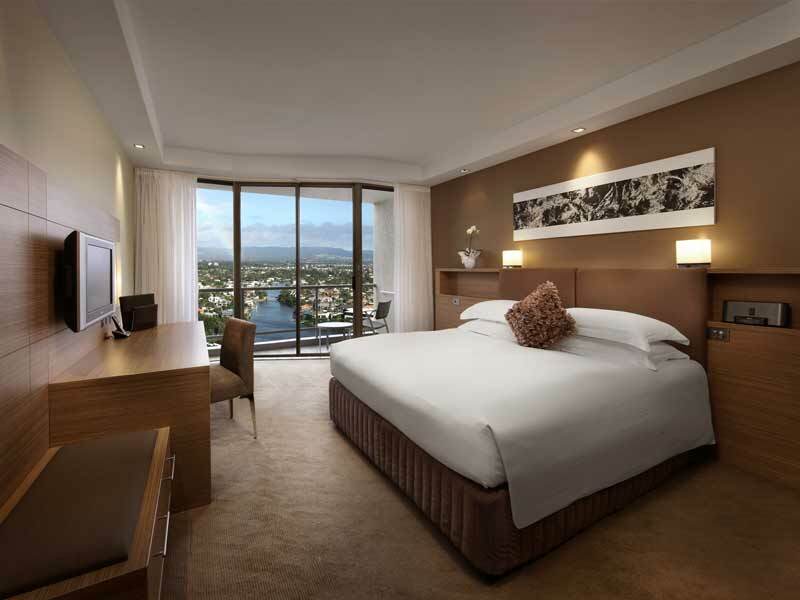 When selecting this exclusive My QLD package taking a child with you won’t cost you any extra! One child 12 years or younger will stay and eat breakfast for free when sharing a room with parents and utilising existing bedding. Start your days with a full stomach! Pull up a seat in Bistro3 each day and help yourself to the sumptuous, French-inspired breakfast options at the buffet. If you’re travelling with your family, breakfast is supplied to one child free of charge too! Holidays are the time to indulge and, with a bonus $250 Wine & Dine Credit on us, you can do that with ease! Put your credit toward whatever you desire; the choice is yours! We all get a little thirsty after a flight, right? 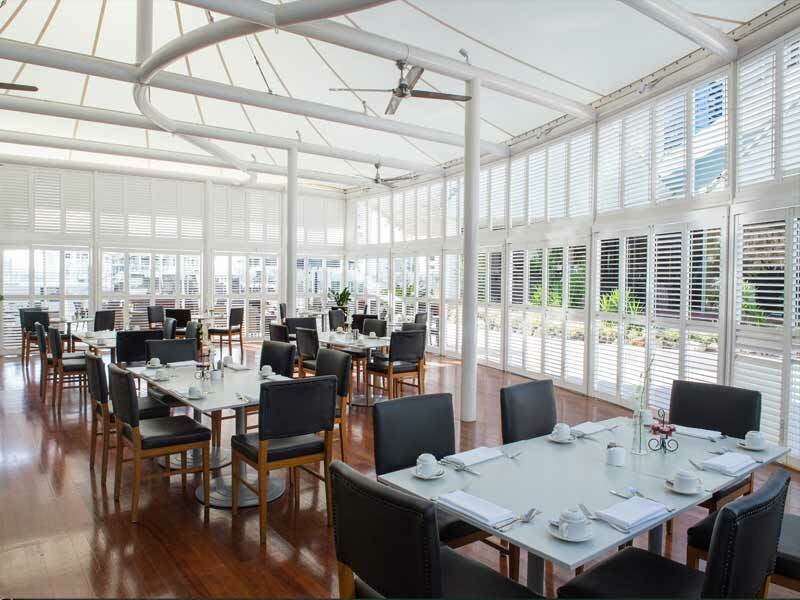 When you arrive at Sofitel Gold Coast Broadbeach there will be a refreshing cold drink waiting for you! Forget carting luggage around on the final day of your holiday! You don’t have to check out until 12pm, so leave your luggage in the room to make the most of your morning before flying out! 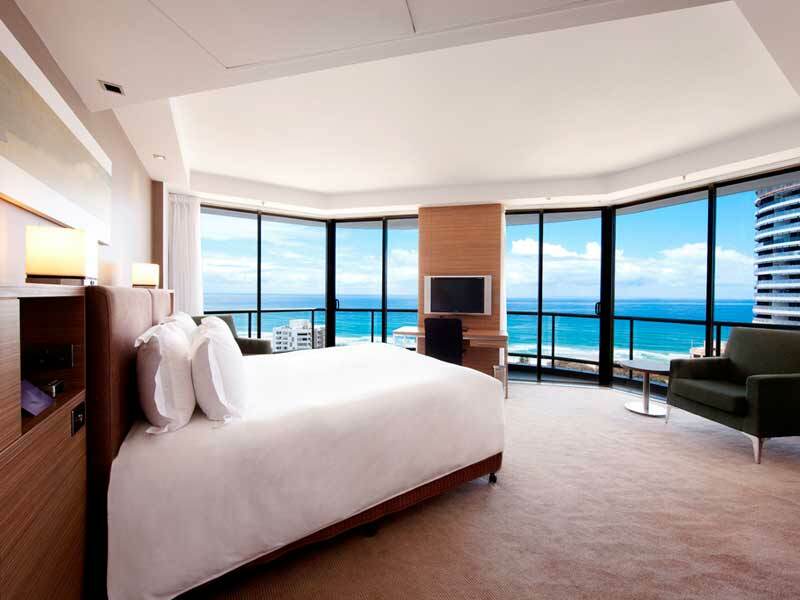 Watch the waves crash onto the white sands from your private balcony and through the floor to ceiling windows in the Superior Room. The rooms are designed for 2 people but can comfortably accommodate up to 3 if you opt for the twin bed set up rather than king. 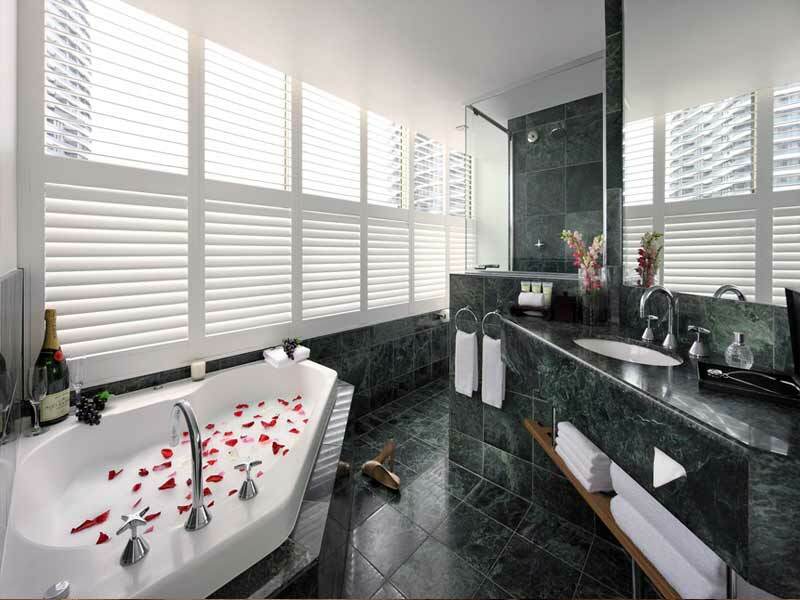 The main room links to the spacious marble ensuite bathroom that features a separate bath and shower, bathrobes and slippers, hair dryer and extra large soft bath towels. 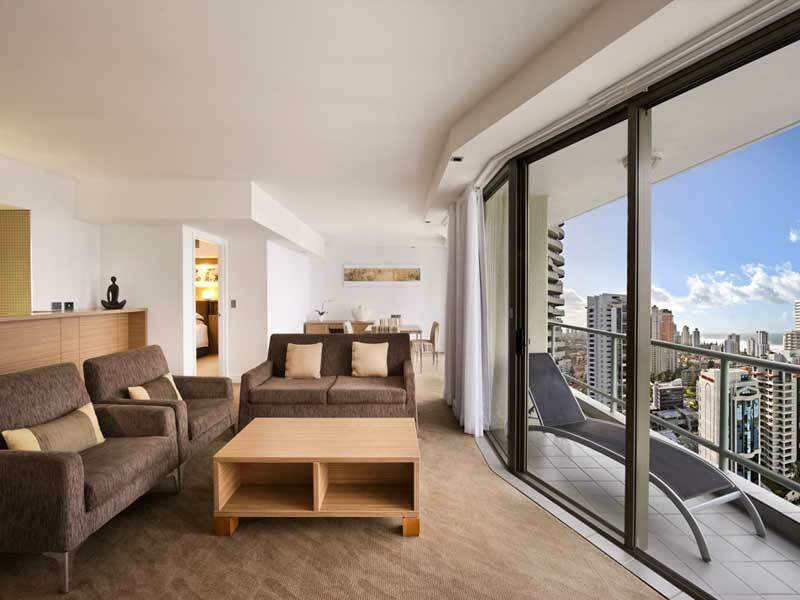 Stay cool in the air conditioning, surf the movie channels on the LCD TV, enjoy a fresh cuppa with tea/coffee making facilities, ensure your valuables are secure in the in-room safe and much more! 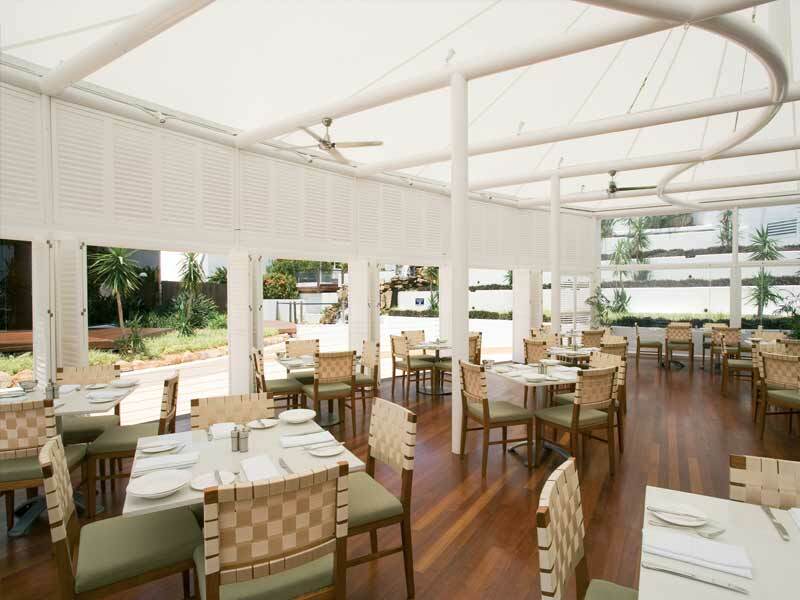 This modern 5-star luxury hotel is located minutes from the white sand and warm waters of the Pacific Ocean. 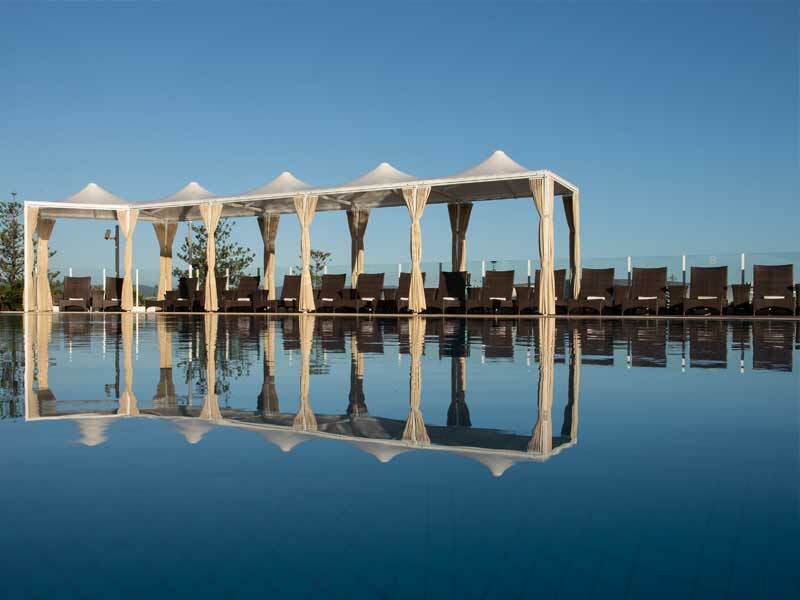 Featuring 296 modern sophisticated rooms, all with furnished balconies looking out at the sea or the hinterland, and a selection of fantastic amenities and facilities. 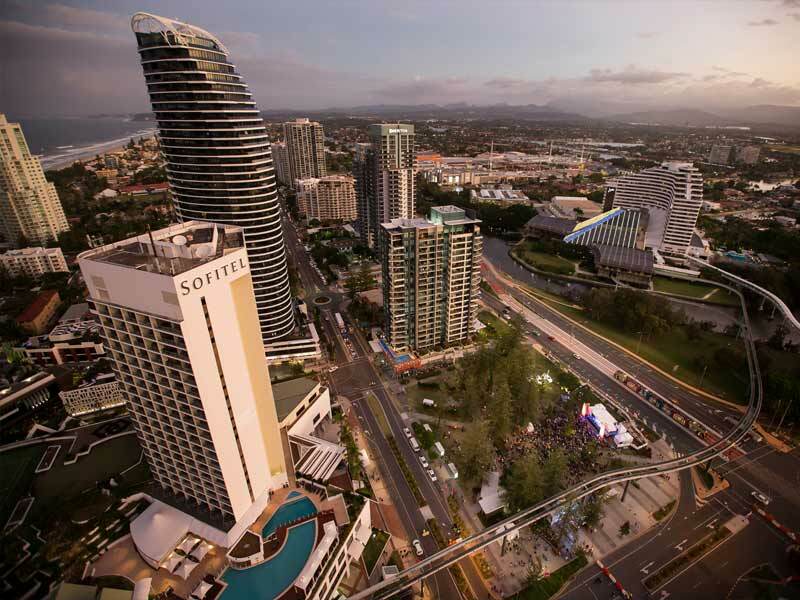 Gold Coast favourites like Pacific Fair Shopping Centre and The Star Casino are within walking distance and the Broadbeach tram staff is easily accessed as your gateway to the rest of the Gold Coast! 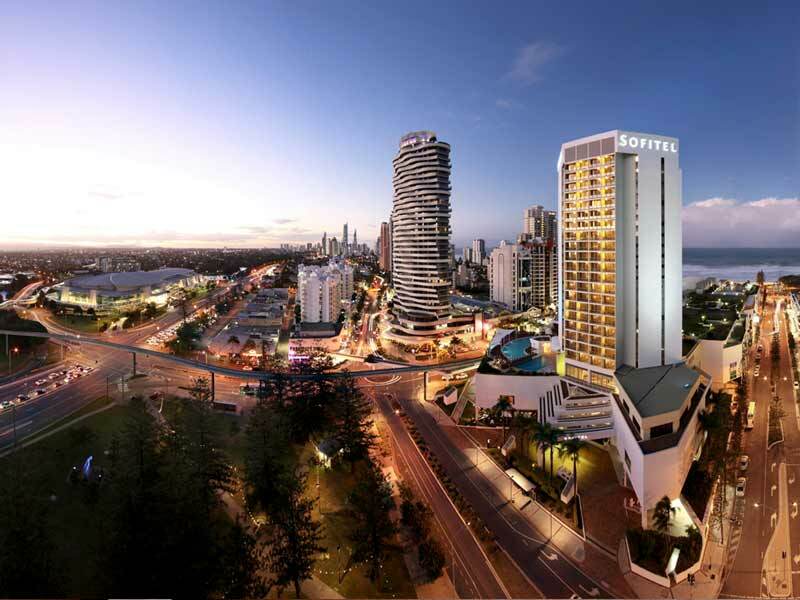 Read more about Sofitel Gold Coast Broadbeach here! #Kids Stay and Eat Breakfast FREE: Maximum of 1 child (0-11 years) stay free of charge if using existing bedding. 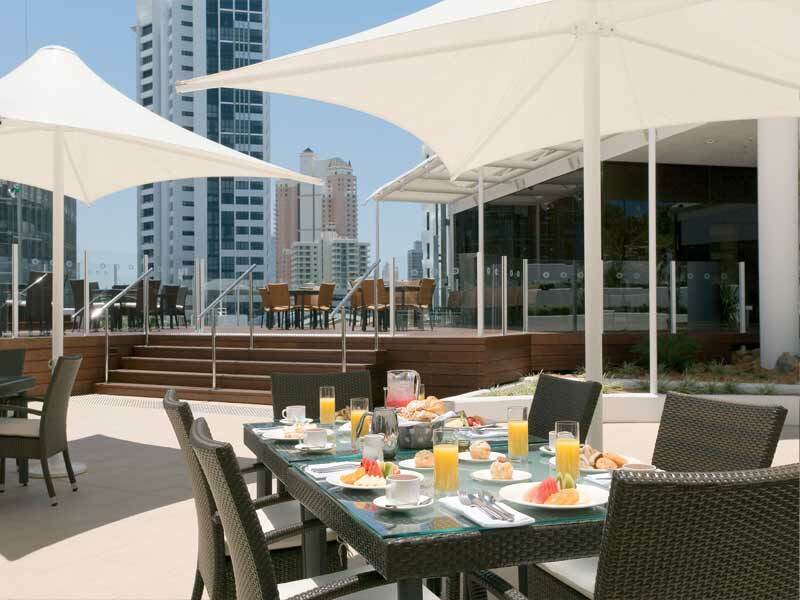 Buffet breakfast will be supplied free of charge for a maximum of 1 child (4 to 11 years). ~$250 Wine & Dine Credit: This amount is to be credited to the guest’s room account on check-in which can be applied towards all food, beverage and spa treatments at the resort. WDS Credit cannot be applied towards external third party service providers e.g. Tours.